Time to book all your fall and winter training time now! Ask about team & league packages. The Hitting League Is Back!!! This year all games will be played on our new Hit Trax system. Scoring will be done electronically and hitting statistics such as 'Exit Velocity' and 'Launch Angle' are measured for each player. Come sign up for the most fun event of the year, while getting important swings in the off season. BASEBALL/SOFTBALL CAMP Throwing, fielding, catching, base running, and pitching..
EASTON and AXE Bat DEMO Night!!! Come join us December 12th from 5:30p - 7:30p at Extra Inni.. 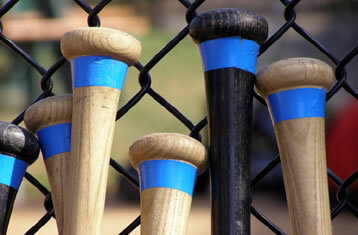 Extra innings is a fundamentally solid training facility that is great for children. "Sam loves having a home to develop, and especially loves working with Matt! Great place all around!" Couldn't have been happier with the experience we had holding our son's 9th birthday party at Extra Innings. The energy and attention provided by Phil to the boys was tremendous. He was non-stop and kept up with them all. My son and his friends all had a great time. Excellent service ! Very responsive . All the products have been top quality. The baseball league my son plays in for the fall has been a great experience. Coach Danny is fair with getting all the boys equal playing time and has them playing different positions throughout the game. Great facility and very nice, accommodating staff. The staff at Extra Innings Hanover, and the operation they run is second to none. My son Gianni has had expert training. We bought a glove and a bat from them .They steam the glove for us and they let us use the practice area to test the bat and the glove. Thank you! We LOVE Extra Innings! I have been so happy with the lessons and guidance that my daughter has been receiving! Mic is great. Easy to work with, gives good ideas. Fair prices and good product. Our league has been using him for years and will continue for many more! Summer Camp Sign-ups Now Open!